The IRS, U.S. Treasury and Congress have been troubled for a very long time by tax issues regarding U.S. citizens and LPRs who reside outside the U.S. In 1998, an excellent U.S. Treasury report explains well the state of the tax law at that time and can be read here: Income Tax Compliance by U.S. Citizens and U.S. Lawful Permanent Residents Residing Outside the United States and Related Issues. 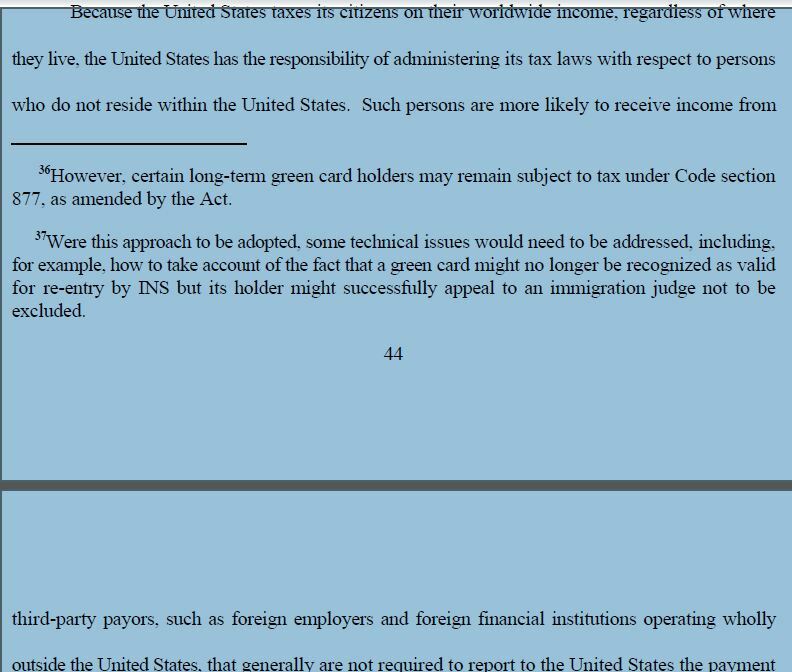 The tax law discussed in that report is largely the same today, except for the expatriation provisions (IRC Sections 877, 877A, 2801 and 7701(b)(6)). What has changed is the sharing and exchange of information within the government and among foreign governments. 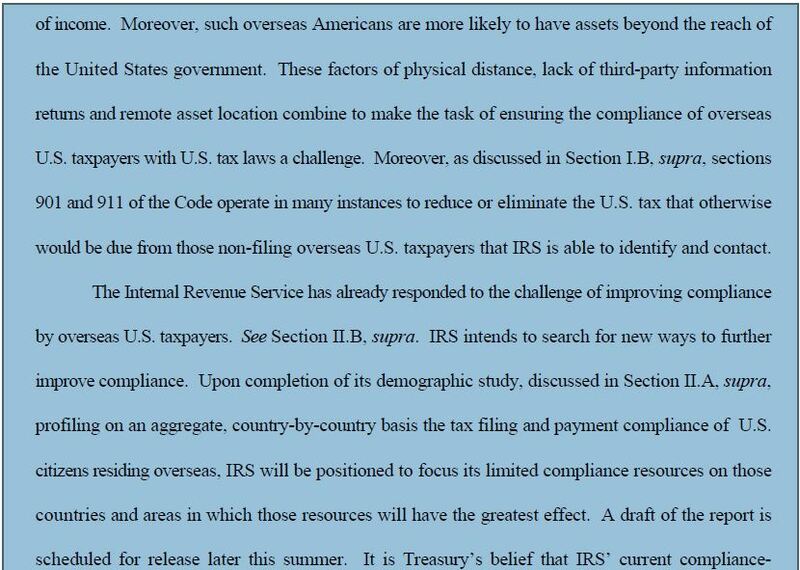 This entry was posted in IRS Audit Techniques - Expatriation. Is the new government focus on U.S. citizens living outside the U.S. misguided or a glimpse at the new future?